When you write out the check for your 6-month car insurance premium, do you ever get the sinking feeling that once again you’re paying out a chunk of change you’ll never get back? If you’re a safe driver with a clean record, you may be thinking about raising your auto policy’s liability insurance deductible. Everyone knows the way to save money on car insurance premiums is to set the deductibles as high as humanly possible, right? But is the lower premium really worth the increased risk? Let’s take a look. The deductible is the amount you’ll pay on an insurance claim before the insurance company starts paying. 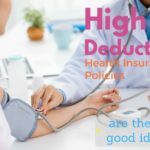 You might think that a high deductible lowers your insurance premium because the insurance company’s costs are reduced by the amount of the deductible. Actually, having a high deductible on your insurance means that you’ll tend to file fewer claims, which means you’re a lower risk to the insurance company, and can therefore be charged lower rates. Not having an insurance claim in the first place is far more profitable for insurance companies. Insurance companies survive based on how well they predict consumer behavior, and higher deductibles directly affect that behavior. How can you tell if the money you save by reducing your premium is worth the risk of the higher deductible? For example, let’s say that you reduced your six-month car insurance premium from $600 to $500 by increasing your deductible from $250 to $500. So in this example, you’d save $200 per year in premiums, but you risk paying an additional $250 out of pocket if you file a claim. If you felt you could go claim-free for the better part of a year, you could partially “self insure” by stashing that $200 in your savings account. If you had to file a claim, you’d lose that $200 plus an extra $50, but you might come out $200 ahead. In the end, this boils down to a cost-benefit analysis. If you’re risk-averse, you may have your deductible set as low as $250 to limit your out-of-pocket costs in an at-fault accident. I’ve had my deductible at $500 for a while now, but figured it wouldn’t hurt to call my car insurance company to find out just how much I could save if I raised my car insurance deductible even higher. When I called my insurance company asking about raising my deductible from $500 to $1, 000, I was told that the savings I would earn on my premiums would only be $27 every six months. At that rate, I would have to be claim-free for about ten years in order to recoup the increase in risk I took by raising my deductible. Is that a risk I want to take? Personally I’d rather pay the extra $27 for the piece of mind of not having to fork over another $500 out of my emergency fund in the next 10 years. In this case, the conventional wisdom of raising your car insurance deductible may not be the best course of action for your wallet. When was the last time you sat down and read your insurance policy? 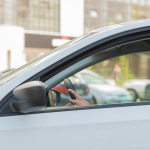 Not many people fully understand what their car insurance policy covers other than the basic limits they agreed to when they bought the policy. If you’re like many busy automobile owners, you may not have looked at the details of your policies for years. When I was looking in-depth at my car insurance policy, I realized that I was not receiving credit for the GPS tracking system that was installed in my new car. If my car was ever stolen, the tracking system could help the police locate my car. Noticing this missing discount and asking for it ended up saving me $40 per year in premiums without accepting any new risks. No matter where you set your car insurance deductible, you need to make sure that you have an adequate emergency fund in place. 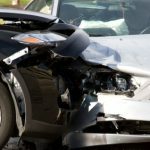 If you decide to raise your deductible, you need to be able to pay that extra money out of your emergency fund should you have an auto accident. Understanding how to conduct a simple cost-benefit analysis can help you to understand how to save on car insurance without dramatically increasing the risks that you take. What level of car insurance deductible do you favor – higher or lower? 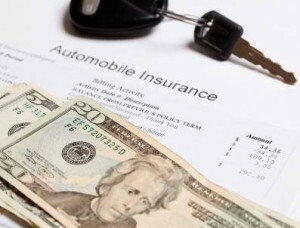 What’s your favorite way to save on car insurance? About the Author: Hank Coleman is a personal finance writer and entrepreneur who has been writing about investing, retirement, and insurance for years. Hank holds a Bachelor’s Degree in Business Administration, a Master’s Degree in Finance, and is currently studying for his Certified Financial Planner (CFP) credentials. if you take your savings per month and actually save it, you should be in the black soon. in 55 years of driving. In Maine you can drive at age 14 0n a farm. I had an accident in May of 67 and my fault.I have a year long policy and it was a chargeable accident and won’t be off my policy until next year 2/2113. damage was $15.00 my damage as the 18 inch angle iron acted like a chainsaw on drivers side. I thought I was going to loose my legs, and peeled all the sheet metal off the car and protruded into the car and all the wiring bundles bumper hood etc. Total damage and cost to fix 10k. That did not total it.I had 11000 miles on car. Now, I have to payfor another 5 years. How much can I up the deductible and should my future wife who has a Lexus keep her own policy? @Hank Coleman, Courtney, and John: Thank you for your replies! My car’s KBB value is $7,700 in “excellent” condition. I think that my car is in excellent condition but the insurance agent might think differently. I carpool a lot and do not drive often. Last year, I dropped collision/comp at $1,000 deductible and have only liability. 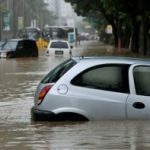 If I lose my car, I will dip into my emergency fund to replace it. I hope to keep my car for another 9 years, then buy another car with cash. Reading all these comments was very helpful. Thanks for your input! You are right. I heard that it does depend on individual insurance companies. Some use a rule of thumb of 70% of the car’s value. Some use other rules. Some car insurance companies use their own private databases of car values and not standard Kelly Blue Book or Edmunds values. I just reduced my insurance coverage from collision/comp @ $1000 deductible to liability only. The vehicle is 9 years old and blue books for maybe $3000-$3500. If I had an accident and totaled the truck, I might get $1000-1500 max after I bought it back as salvage. I will save about $300/year in premiums. Typically when a vehicle is totaled the insurance company will set a salvage value and sell it back to the owner. I bought one totaled car back for $375, spent $600 to make it drivable, then put about 5 more years and 60k more miles on it before retiring it. One case I know of was a motorcycle that had it’s drive chain break, which in turn cracked the engine case. Since the engine was ruined, they totaled the bike and he bought it back as salvage for something like $150. I prefer a higher deductible because I have not been at fault for 10 years. My favorite way to save money is to call the insurance company about a month before the policy expires/renews and ASK for a reduction in policy. @ Newlyfrugal – I don’t think 50% is a hard and fast rule. I got rear-ended in 2008 and had $5700 worth of repairs and rental car paid for by the other guy’s insurance, and my car was only worth about $6800 at the time. Our auto deductible is $1000. When we went from $500 to $1000, our premiums dropped by about $200 a year. We did it at the same time I got a bonus at work, so we stuck $1000 into a no-penalty CD to cover our deductible if we ever need it. We also have a no-penalty CD to cover our medical deductible. Under the current health insurance plan, we have a $2400 annual deductible (combined for the two of us) before insurance kicks in for the year. However, my husband’s company puts the first $1200 on a pre-paid medical debit card, which is more than enough to cover routine care and prescriptions for both of us. If we had an ER visit though, we at least have the second $1200 to cover our portion of the deductible already set aside. Between the two CDs we earned about $30 in interest last year (which gets paid out to our savings account quarterly). You wouldn’t be out of luck. If your car insurance company finds it uneconomical to repair your car because it costs too much (maybe over 50% of the KBB value in your case), then the insurance company would list your car as totaled and pay you the value of your car. You most likely would NOT get to keep the damgaged car in that case if you wanted it though. Hope that answers your question. I read that if your vehicle is over 10 years old, insurance companies will not pay more than half of the blue book value on repairs. So if my car is 11 yo and worth $8,000 in blue book value, the insurance company might pay $4,000 maximum to fix the car. If I get into an accident and repairs cost $6,000, I would be out of luck? I keep $20k to $25k in an emergency fund in a Rewards Checking Account that earns 4.01% interest. If my car is totaled, I could use this fund to get another car. I wonder if it’s a good idea to dispense with collision/comp insurance once your car is over 10 yo and if you have an emergency fund. A very helpful and well-written article! I hate reading financial columns and articles, but this one was easy to read, informative, and comprehensive!! I’m going to go call my insurance company right now!!! I used to pay for a lower deductible when I was younger and a less experienced driver ( more chance of an accident ) but now that I am older, I don’t pay for this. I never get in an accident and even if I do I am still saving in the long run on my yearly insurance compared to paying my higher deductible. I had looked into raising my deductible to $1000 from $500 on my 98 Plymouth Breeze and the difference was only about $1 a month. I was happy I hadn’t changed it when my car was totaled. But then the insurance on my 2010 Hyundai Sonata was higher. When I called in about the difference in raising the deductible it was about $15 a month different. Another factor to consider: age of the vehicle and the cost to replace it. I am certain some insurance companies and their employees want to do the right thing. But, it seems a lot of insurance companies will throw up any wall they can to not pay a claim, under pay a claim, or cancel the policy before you can file a claim. That said… I’ll roll the dice and give the Actuaries as little cash as I can. I recently spoke with my insurance company about raising the deductible on my collision/comprehensive from $500 to $1,000 and the savings was about the same on an annual premium! Because I live in Florida, where I come across uninsured drivers all the time, I decided it wasn’t worth the risk and kept my $500 deductible. I also decided on an annual premium, thereby eliminating at least one occasion to raise my rates due to a “zip code ratings change”!! I always had the lowest deductible until recently (3 years ago)when I changed my deductible to $1,000 due to my new found ability to stay out of debt and save up almost a year of expenses in my emergency fund. Right after the change, I was involved in an accident and found at fault even though I was the one that was stopped while hit. Due to the fact that both of us were insured by the same company, the deductible was waived. I was told my account would be reviewed and premiums might go up. However, my monthly payment has actually gone down about $30/6 months since. I just want to add that if you have a loan or are leasing the vehicle, those contracts may tell you the minimum coverage and maximum deductible you can carry.